Provide a new heavy gauge brown from the output terminal of the alternator to the battery cable stud on the solenoid, and from there to your high-current circuits. 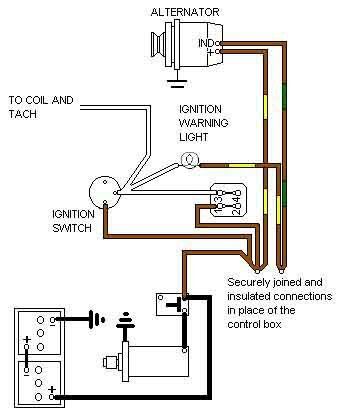 Use the brown/yellow for the IND terminal at the alternator and connect it to the brown/yellow from the warning light to maintain the colour coding. Discard the brown/green, taping back and insulating the ends.